UPDATE ONLY Thread for Falcon 9 with EchoStar 23. Please use the other threads for non-updates. NET March 16 on Falcon 9 from LC-39A at Cape Canaveral. Latest L2 KSC schedule (a more expansive one, used to ensure all related assets are on the same page) shows a schedule of F-10 Day – 30 December (today as of time of posting), Jan 10 for the Static Fire and also concurs with the other documented schedule of Jan 15 (2350-0220 Eastern) for the launch. Personally, I'm kinda expecting a fire hose of updates from SpaceX, where they hit us with "OK, FAA's happy, corrective actions incorporated, couple of days to Iridium launch, oh and EchoStar 23 right after that!" (but worded better )) So we need to keep a close eye on it, but again in the knowledge dates are not real dates until the launch service provider (SpaceX) or the customer officially says so. Latest preliminary placeholder is now January 26 per L2 KSC schedule update. The above still applies. Posted in the discussion thread, not the update thread - silly me. I'll sort that out now. NET Jan 30, just after midnight local time now, per L2 KSC schedule. Pad is the constraint, as the Static Fire date is what's moving as the primary driver (pending remaining pad work). HAWTHORNE, Calif. – Jan. 19, 2017. 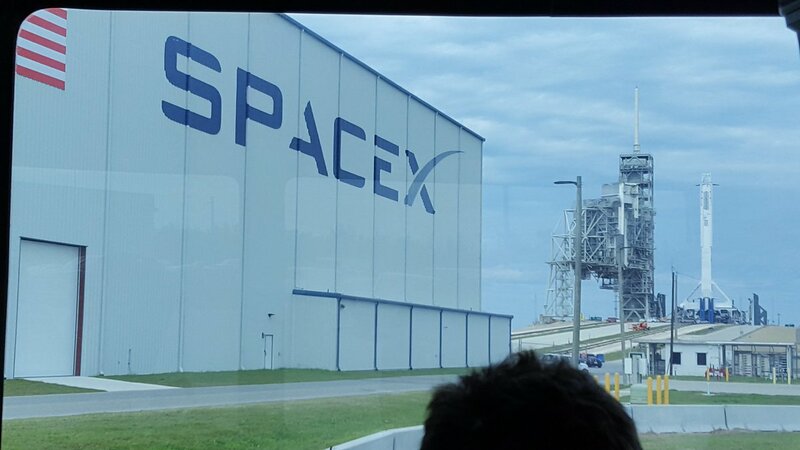 Media accreditation is now open for SpaceX’s first launch from Launch Complex 39A (LC-39A) at Kennedy Space Center in Florida. The launch is targeted for no earlier than Jan. 30. Pre-launch media activities are currently targeted for no earlier than Jan. 29. SpaceX’s Falcon 9 rocket will deliver a commercial satellite to a Geostationary Transfer Orbit (GTO). Members of the media who are U.S. citizens or Permanent Resident Aliens (green card holders) and interested in covering the launch must fill out the media accreditation request form by 5:00 p.m. EST, on Monday, Jan. 23. For launches from LC-39A, Kennedy Space Center decides which media are credentialed to cover launches, not SpaceX. Please keep in mind, simply making the request in a timely fashion does not guarantee the request will be granted. Please be sure to provide all the information included on the SpaceX form. SpaceX typically obtains confirmation that these requests are approved about 48 hours prior to launch. More details on the mission, the customer and pre-launch activities will be made available at a later date closer to launch. Now February. Moving every few days based on pad readiness for the Static Fire. Green light for the Static Fire will be a good indicator of where things stand. NET Feb 3. Window opens 00:07 local time. Emphasis on the NET. For previous flights, you can choose older map here 1, 2, 3, 4, and mark there appropriate flight on the left bar. (Edit: Linked Don't post screenshots from your phone. PS It's unconfirmed. Likely just the TEL unless he shows there's a rocket there. Static Fire isn't for days, so it would be fit checks IF it's true - Chris). TEL is up but the vehicle is too slender to see if it is there. Plus the TEL is boxed in. Big white TEL could easily be mistaken as the F9 from a distance. Very much still working this, but despite some good TEL testing at the pad over recent days (including a cool test relating to how the TEL will work differently than you've seen before at SLC-40), there's a lot of doubt about making Feb 3, or even close to that. This is literally like a brand new pad, there's bound to be teething issues and you really don't want something failing on your pad at T-0! Working is as it's not documented (where you see "X company requesting change to NET....") but what I'm being told. Could get interesting as CRS-10 is fast becoming a priority, with Dragon barging her shoulders in the line saying "I'm more important!" in a Jim-style "more than a ComSat launch"
Again, working it, preliminary - but I always pass on launch date stuff out of L2/where ever as I know folk book flights/hotels. Don't change any plans, but have options to do so. Hearing via ESA source that the switch (CRS-10 going first) is a done deal. Word of caution: word is very much coming from the area that also hosts the watercooler and coffee machine. Yes - and per the above (which is an update as it's very relevant) - there's a growing word (as in people seeing decision notes, so this is getting rather real) that Dragon has pulled rank to go first. Nobody puts baby in the corner! "SpaceX announced today that its first launch from Launch Complex 39A (LC-39A) at NASA’s Kennedy Space Center in Florida will be the CRS-10 mission to the International Space Station. The launch is currently targeted for no earlier than mid-February. Following the launch of CRS-10, first commercial mission from 39A is currently slated to be EchoStar XXIII. This schedule change allows time for additional testing of ground systems ahead of the CRS-10 mission. The launch vehicles, Dragon, and the EchoStar satellite are all healthy and prepared for launch." Per L2, NET Feb 28 (0027– 0257L - as in Eastern - L stands for "local"). But again, don't go booking flights. Got to get CRS-10 launched first.